But he's made a vow to learn to cook some easy home made dishes to feed Isaac with and I am happy to say that he's aced this recipe by his second attempt. 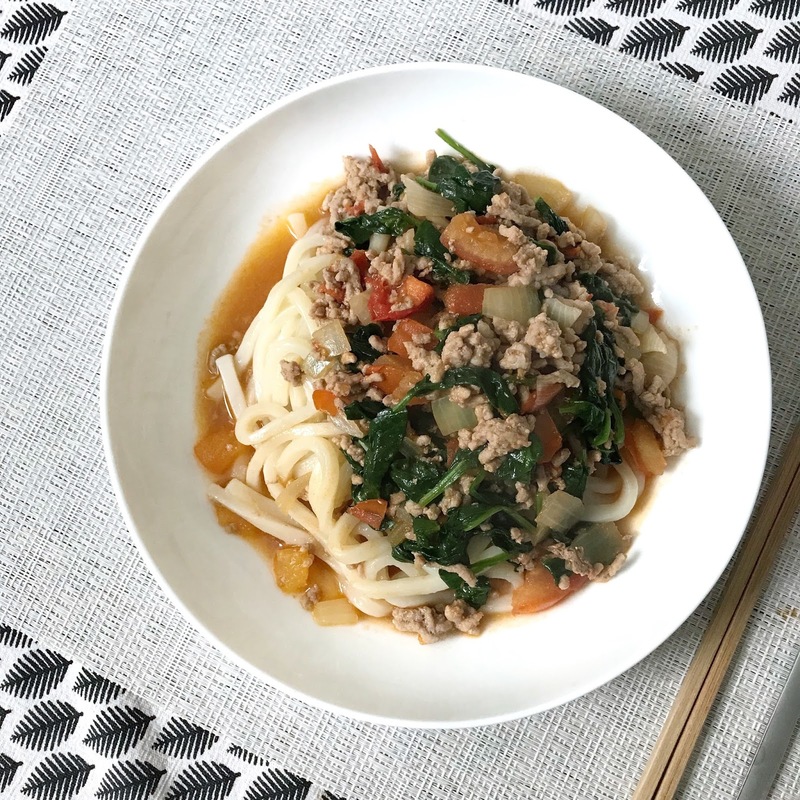 Chinese style tomato sauce is light, sweet and homely to taste and I often refer to it as Chinese style spag bol. This is only a loose translation for this dish though, since there are plenty of other variations that also fit into this title. 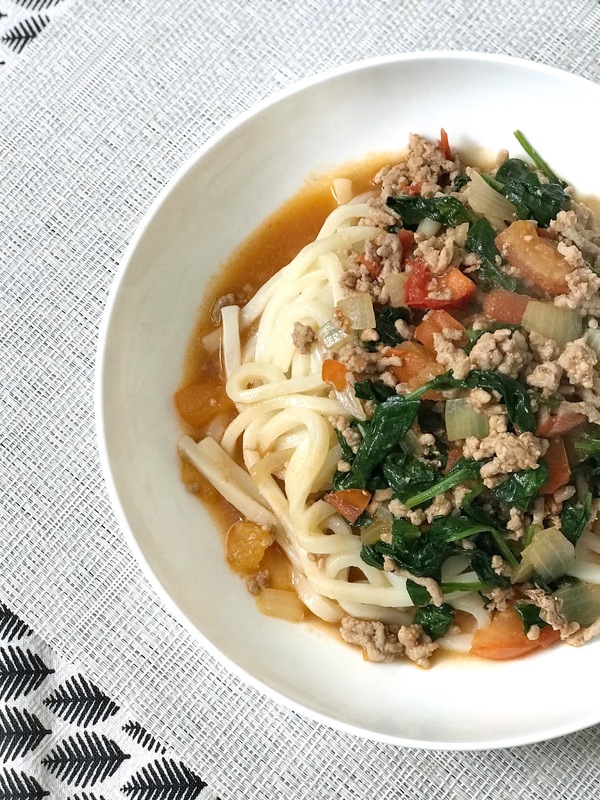 It goes especially well with udon and rice, but also works with spaghetti, egg noodles and vermicelli. Isaac is now 19 months and more or less eating what we eat, so cooking these days is a lot simpler for our family of 3. If you wish to amend this to suit babies under 1, omit the oyster sauce, soya sauce, ketchup, cook and blend until smooth. Gather your ingredients. 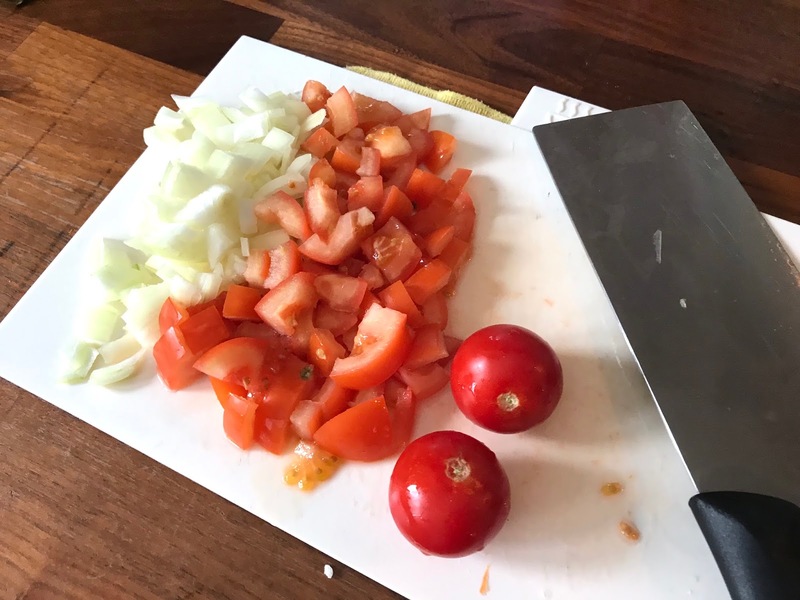 Cooking is much easier when you have everything that you need laid out and washed/chopped, ready to cook. Heat oil in the wok and when oil is hot, brown the mince. 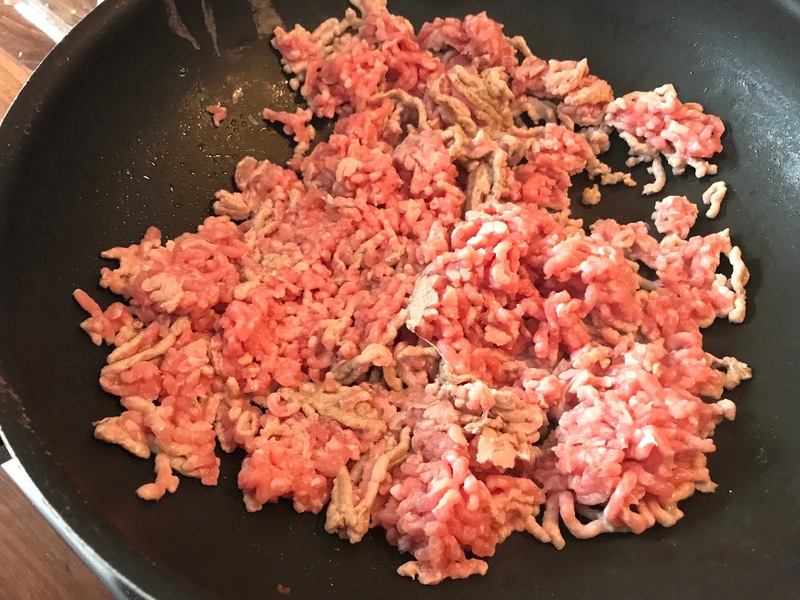 Sprinkle white pepper, garlic powder and sesame oil all over the pork mince, then break up the mince and fry until half cooked. Add in the oyster sauce, soya sauce, ketchup and mix well. 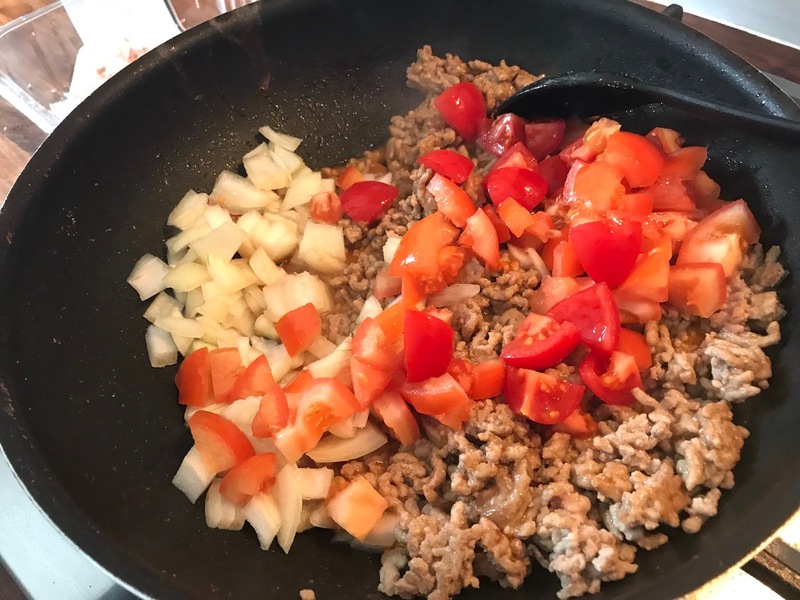 Push the mince to one side and add in the onion and tomatoes. After 2 minutes, add in the spinach and the half cup of water. 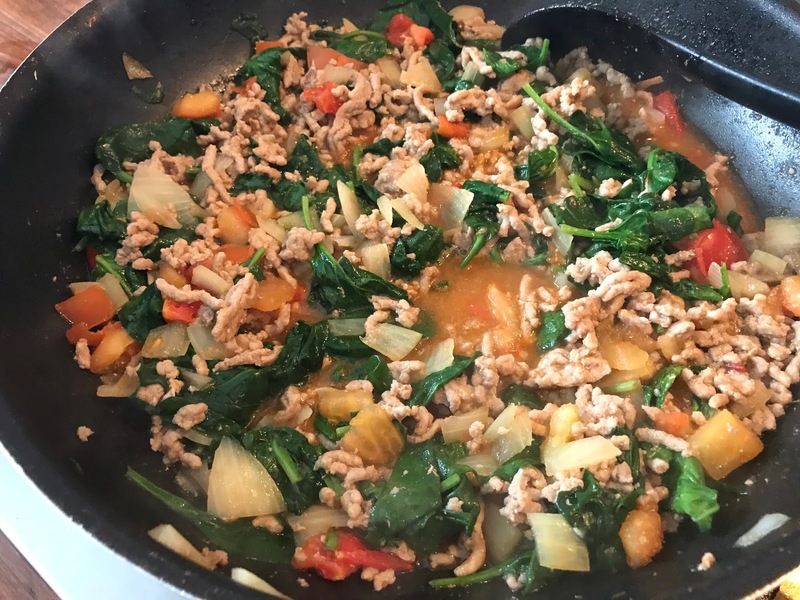 Let it simmer for a few minutes, stirring now and then, until all the spinach has wilted. 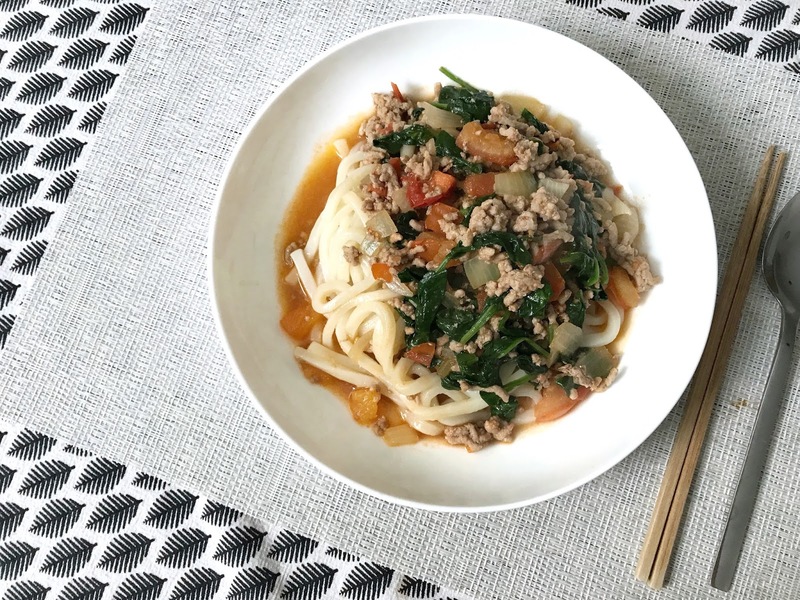 Take off heat and serve with udon, noodles or rice. 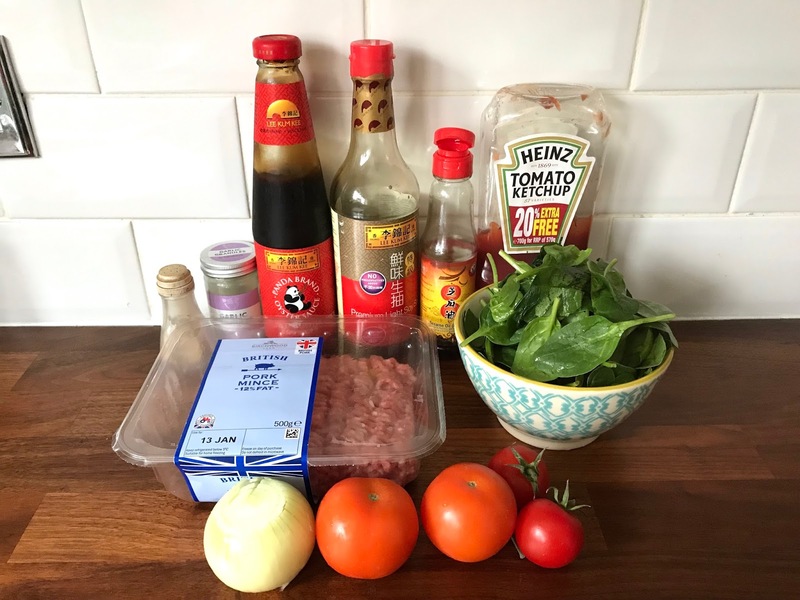 I hope you guys enjoy this Chinese tomato pork mince with veg recipe! Thank you! 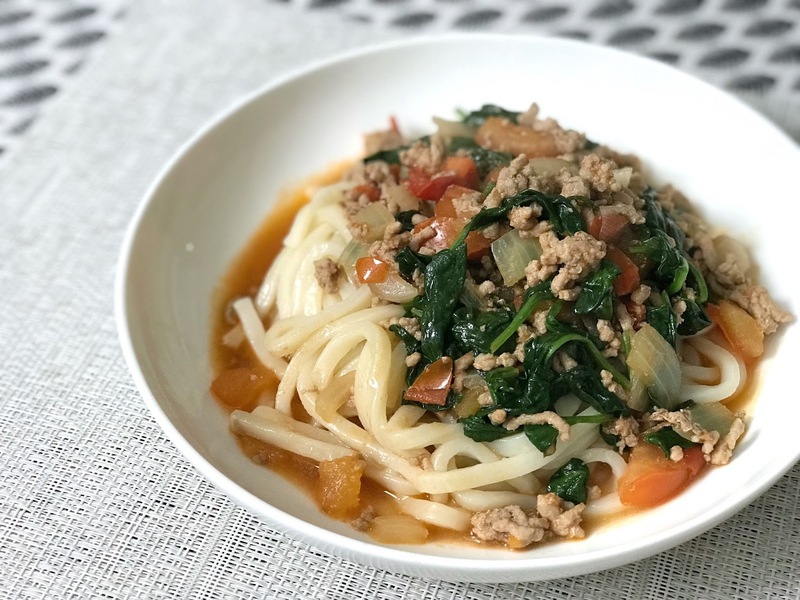 It's a very versatile dish and also works well with rice, spaghetti and even Chinese style soup macaroni pasta!